Despite the economy, NYC & NJ's locker demand is strong. 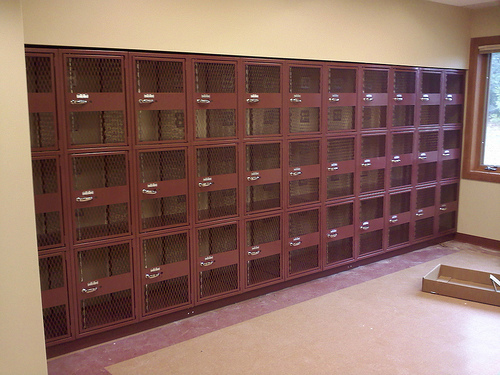 Gale's lockers have been installed in some of the "Worlds Best in Class" Academy's. Our lockers have a Lifetime Warranty. Extremely affordable and in stock for immediate delivery. Gale's "Buying Power" allows everyone to buy at the lowest overall cost. Call Jack McDonald at Gale's Industrial for your free onsite layout and quote. 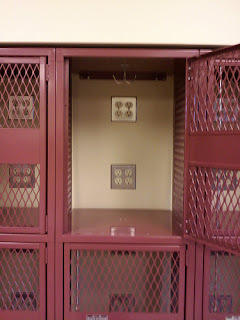 Below are Gale's All Welded Lockers. Each locker was built with electrical sockets for charging cell phones, Laptops, Cordess Tools and Walkie Talkies. Extra shelves can be added to create additional levels of storage. ﻿Call now for immediate assistance. 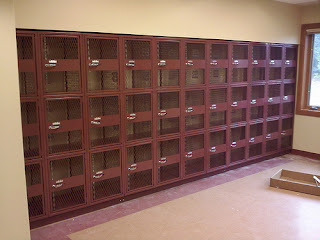 Below are two styles of Lockers extremely popular for MMA Academy's, Gyms, Law Enforcement, Hotels, Business and Schools. Gale's (est. 1938) offers free onsite layout assistance to max your space and to help you save money.